AMAZING VIEWS OF MOUNTAINS AND EVENING LIGHTS AWAIT YOU FROM THIS WONDERFUL LOCATION IN THE HERTIAGE HILLS OF POWAY!! Central to all Poway has to offer, yet private and serene location on over 1/2 acre lot that extends to street below with neighbor on only one side. Tasteful upgrades in this spacious 3 bedroom home include upgraded kitchen and bath, huge family room, flooring, ceiling fans, new paint, and deck out back. 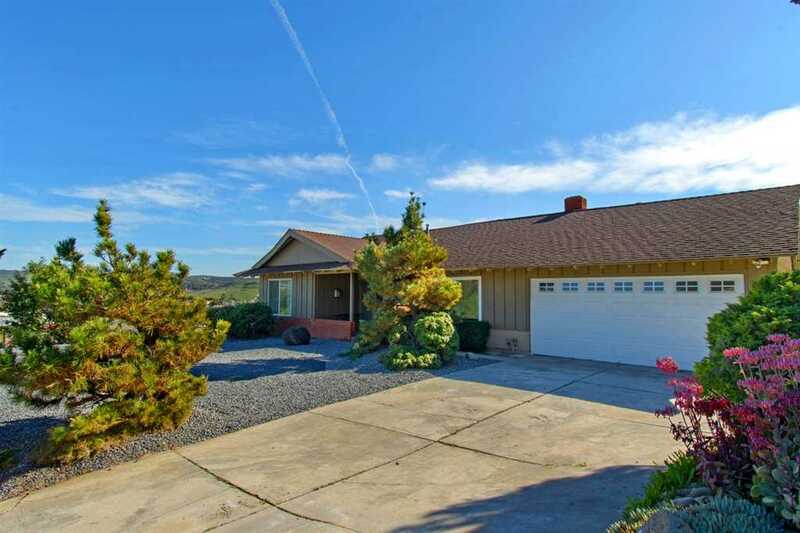 Located in much desired Poway School District and easy commute to freeways. SchoolsClick map icons below to view information for schools near 13065 Tuscarora Dr Poway, CA 92064. Home for sale at 13065 Tuscarora Dr Poway, CA 92064. Description: The property at 13065 Tuscarora Dr Poway, CA 92064 in the Heritage Hills subdivision with the MLS# 190006736 is currently listed for $715,000 and has been on the market for 79 days. You are viewing the Sandicor listing details of the home for sale at 13065 Tuscarora Dr Poway, CA 92064, which features 3 bedrooms and 2 bathrooms, and 1679 sq.ft. of living area.